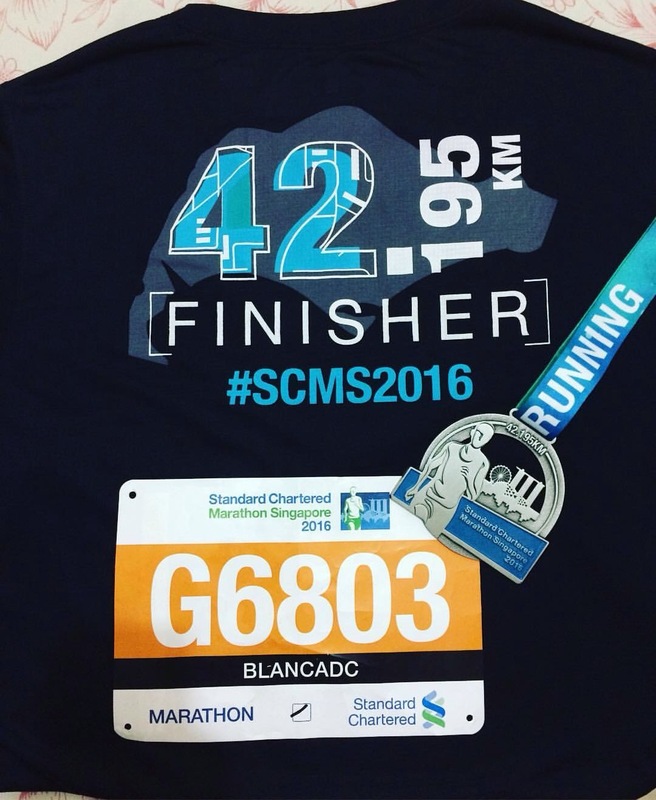 “I can do all things through Christ who gives me strength.” (Philippians 4:13)—Standard Chartered Marathon, you clearly lived up to your reputation as one of the toughest international marathons around. You will go down in (my) history as the one that almost made me quit on myself, as a runner and a dreamer. Running your arduous course was truly a humbling experience. For the first in my life, failure and defeat stared me in the face, and I had to muster every bit of courage left in my body to hold my ground. You affirmed the truth that it is faith, it will always be faith, that would be my saving grace. I was one of the last remaining runners who crossed the finish line and I will never be ashamed to admit that. I will never forget this scene in my head, runners collapsing along the street due to heat, abandoning their dreams on the pavement due to fatigue, and me fighting really hard, really hard the desire and the urge to join them. Many times during the race, fear insisted I give up, self-doubt demanded I pull out, while faith strongly dictated I press forward. I pressed forward and just when I thought I had no energy left, I felt every fiber of my body sing with renewed strength as I chant Hail Marys and Glory Bes in my head. A celebrated runner once said, deep admiration should be afforded to runners who finished first in the race while deep respect, deep respect should be given to those who finished last because they struggled the most to fight the demons in their heads. I understand what that meant now. I will always remember how I fought back tears when I reached the last stretch that would bring me to the finish line not because it was finally over but because I made it to the pen only seconds before they closed the barricade that would separate me from the hundred others who weren’t allowed to continue. I made it to the qualifying time. The dream became mine. Truly, I am highly favored, deeply loved, and greatly blessed by the One above. Angels indeed carried me in their wings. More than the strategy and technique, pure grace brought me to finish. For this, I will always be grateful. « I carry you with me, I carry you in my heart. Congrats on completing the 42km marathon! I hope to participate one day. Still in Manila but my employer is in Singapore. well done. it’s very good to know.